Crustaceans are bilaterally symmetrical and have exoskeletons (skeletons on the outside of their body). Most are aquatic and breathe through gills. Many live in saltwater, although some live in freshwater. Crustaceans have two pairs of antennae that they use for touching and smelling. They also have a pair of eyestalks with eyes and a pair of mandibles (jaws). They have segmented bodies and jointed legs for swimming or walking. 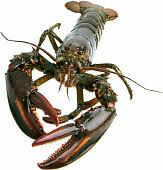 Many crustaceans also have claws that help them capture food and defend themselves. Some crustaceans, like shrimp, can swim. Some, like lobsters and many crabs, walk on the ocean floor. 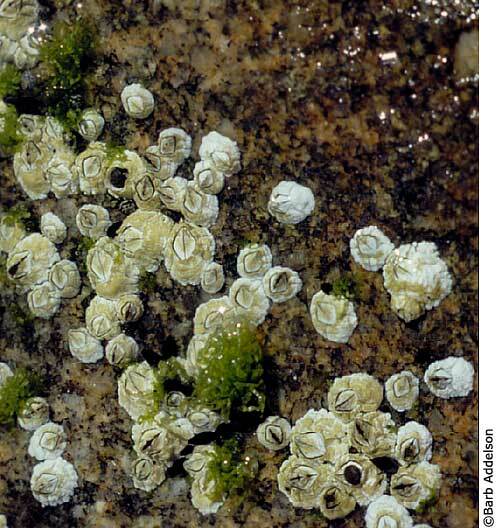 Another type called barnacles anchors itself to a spot and filters food out of the ocean water that passes by. There are many kinds of lobsters, but all live in the water. They cannot swim, but walk along the ocean floor. They are active at night and eat other aquatic animals such as mussels, clams, crabs, and worms. There are nearly 5,000 species of crabs. Some species live in the ocean, and some live on land. Crabs have 8 regular legs as well as 2 legs which have claws. One type of crab, the hermit crab, uses another animal's discarded shell instead of its own softer shell. Shrimp have legs for walking and legs for swimming. They also have 6 appendages to help them eat the plants and small animals that make up their diet. Shrimp live in both salt- and freshwater environments. Their exoskeleton is translucent. Barnacles use their antennae to attach to rocks and other hard surfaces (some even attach to other animals like turtles!). Their 12 legs are then free to filter microscopic organisms from the water for food. They often live in the intertidal zone along the coast, but some live deep in the ocean.